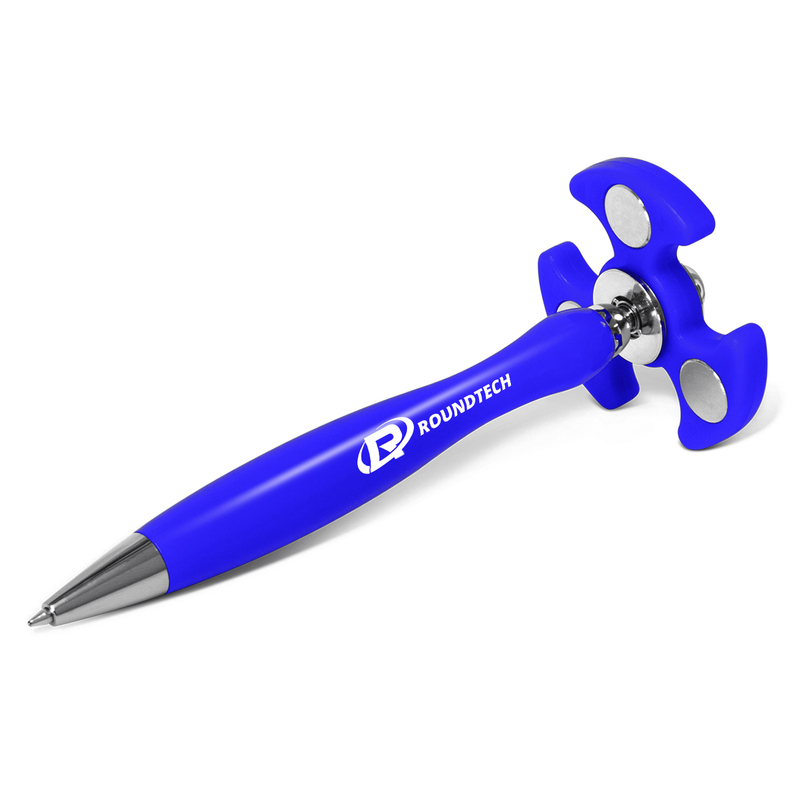 A fidget spinner combined with a pen to bring you this fun, therapeutic promo item. 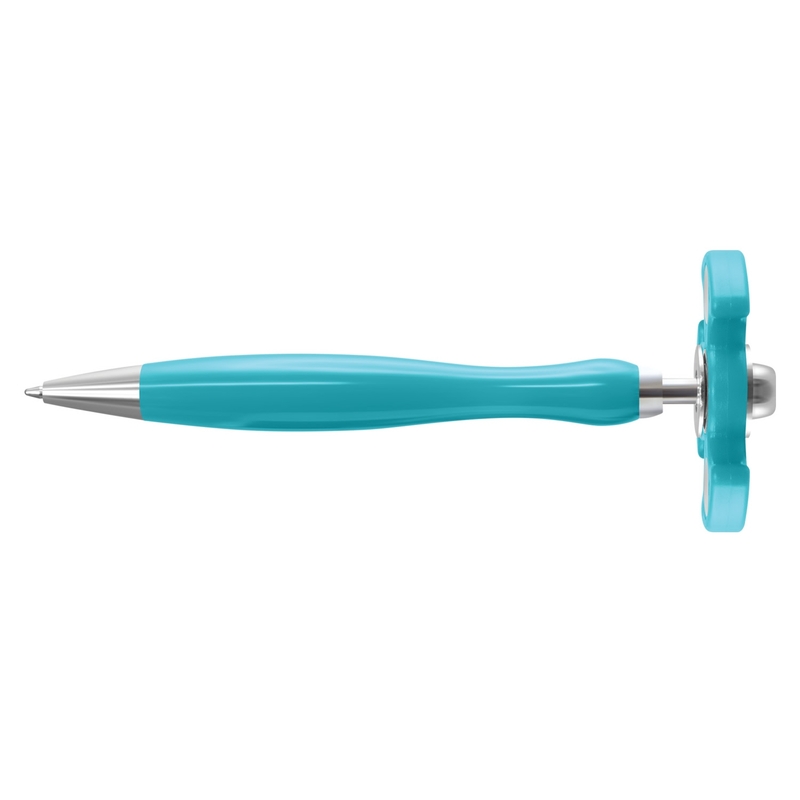 The perfect pen for those who love to fiddle, available in many bright eye-catching colours. They feature a stress relieving spinner on the top that when spun, produces a therapeutic sensory experience. These can be spun while holding or writing and will even spin like a top when placed upside down on a hard surface. 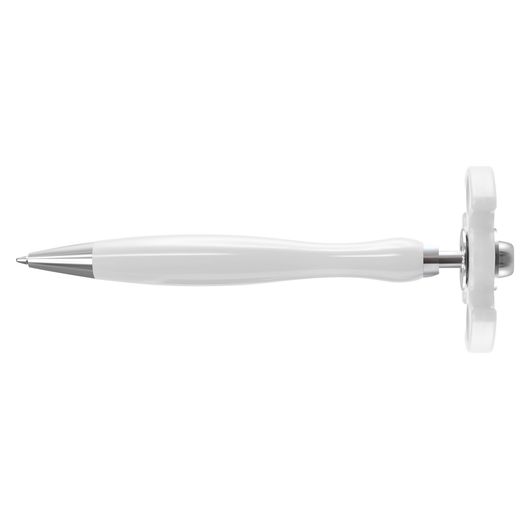 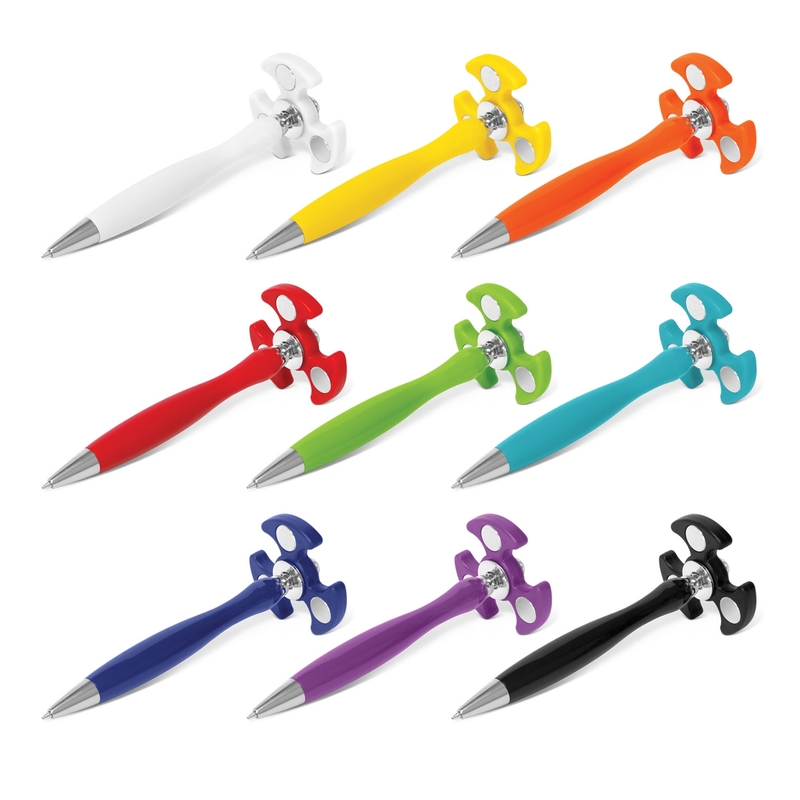 These pens easily catch attention, allowing your logo to get noticed. Comes with 600m of black German manufactured ink.